Give your daughter a gift on her wedding day that will be a beautiful keepsake from her Mom and/or Dad for years to come. 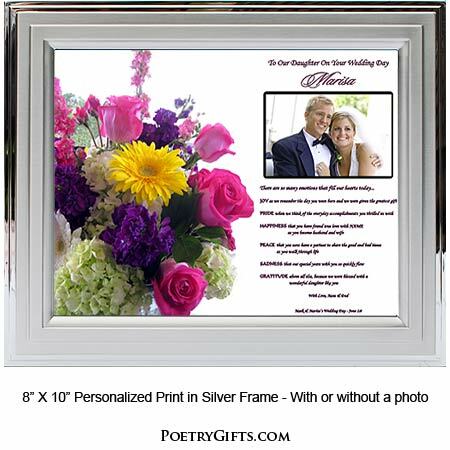 This personalized wedding gift has an optional photo area to insert a photo either before the wedding or a wedding photo can be inserted after the wedding day. Need a very special wedding gift for your daughter? Look no further! 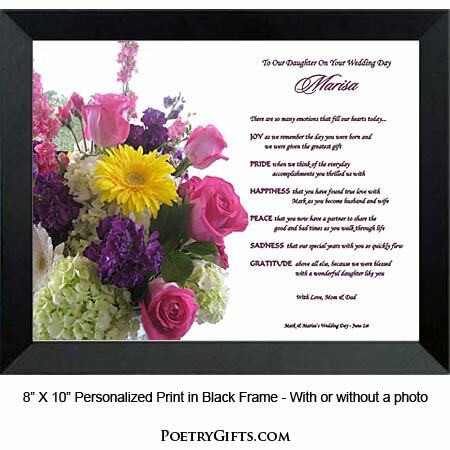 This personalized Poetry Gift with sentimental poem and beautiful flower bouquet design is an EXCLUSIVE. The touching verse will let your daughter know how happy you are for her. After the wedding when a picture of the bride and groom is inserted into the cut-out photo area, it becomes a wedding gift keepsake that can be displayed on a desk or table and will be a constant reminder of your love. 4. 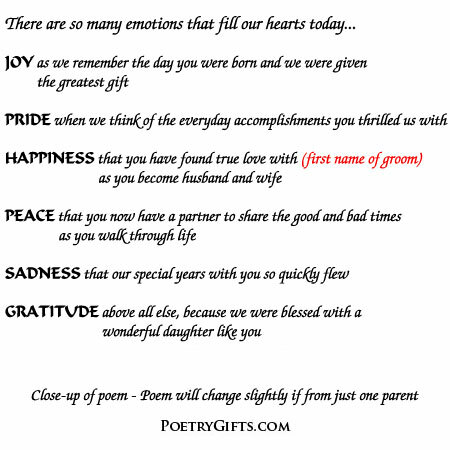 Closing Phrase and Your Name(s) (as seen after poem) - (Examples: We Are So Happy For You, Mom & Dad; Love You Always, Dad; etc.)" 5. 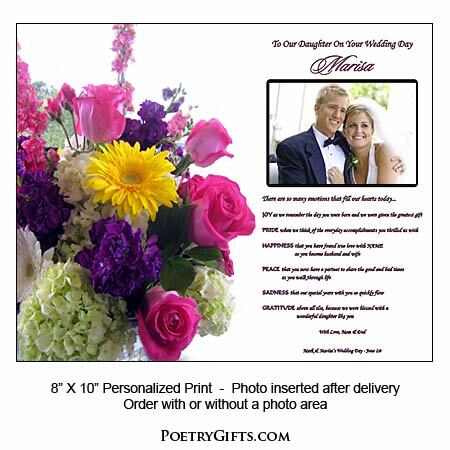 Optional Phrase and Wedding Date - (Example: Mark & Molly's Wedding Day - June 1st)"
Gave this gift to my daughter the morning of her wedding. She cried a little and said she loved it. Thanks for putting my feelings into words.